This morning, after dropping off my son around 8 am, instead of going home to clean or go back to bed I decided to head to the beach. Although it is still chilly, only about 32 degrees this morning, the sun was shining brightly and the birds were singing. I pulled into the lot to see a few other cars, but over all it was pretty quiet. It was definitely not swimming weather yet, not that it will be until around August or September, and depending on your tolerance for cold water, it may never get quite warm enough. 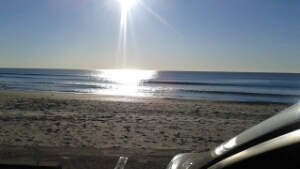 I have lived here my whole life and seen this beach a million times, but this morning as I pulled in and saw the bright sun shining down, reflecting on the ocean, I felt this true appreciation for the beauty of nature. People spend millions of dollars on diamonds, furs, and other extravagant things. They spend countless hours sitting in front of the tv watching reality tv of the Kardashians and other plain, old, (somewhat) normal people who live these ridiculous lives trying to impress others and make all this money. I sat watching the waves of the ocean roll along the shore, watching the golden rays of the sun beat down on the tiny flecks of sand, seagulls flying, scavenging and gathering around and thought, all this is free! Why do people worry about all the useless material wants when nature is right here and free? 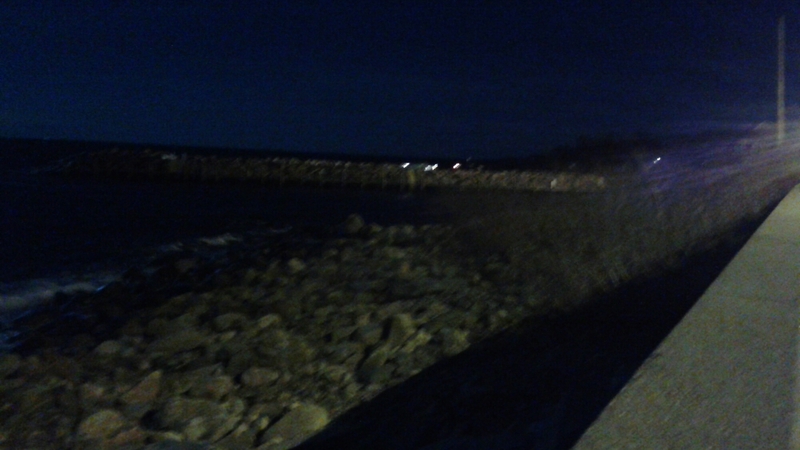 As I sat listening to the water move in and out, the sounds of the ocean and the birds, I could feel this calming peace. I sat in awe of the beauty of it all. Appreciating every sound, sight and feeling this beauty of nature brings. I felt blessed. I tried to imagine what it would be like for me to not live near the ocean. I thought about how excited I am for the summer to come. That first spring day, when even if it is a bit too cold to take off my shoes, I love to walk the beach barefoot, feeling the cold sand between my toes, beneath my soles as it conforms to my footprint, making me feel alive. The cool, gentle, ocean breeze whisking past my cheeks, breathing it all in. Anticipating that first dive into the cold, New England ocean that feels so refreshing, cleansing and invigorating. As the waves crash over my body, washing me anew. Diving into the waves, fighting against them or other times just riding the wave, going with the flow. I used to go to the beach and go swimming, and while I was in the water I would find myself thinking of all the things I needed to do when I left. Until one day, when I realized i wasn’t enjoying the time I was swimming. I was never quite enjoying the moment. Last summer, after a painful, excruciating winter full of snow, a winter I thought would never end, I made a vow. I made a promise to myself, that I would stop trying to rush through everything and just enjoy the moment. I told myself I would enjoy the summer and the beach and I would not worry about cleaning or trivial things because I simply had all winter to clean. So I did. 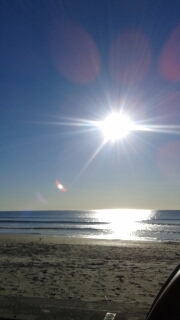 I spent as much time at the beach swimming, reading, writing, walking and enjoying every golden ray of sun possible. So much so, that by the time winter came I was actually ready for a break. It made me realize how much I enjoy the four seasons of the North East. How my body and mind need the winter break to hibernate, regroup and restore myself. The seasons and weather changes here have taught me a lot in the past couple of years. Most of all they have taught me to live in each moment. I can worry about the snow, I can prepare for it to a degree, complain about it or I can enjoy being snowed in. Feeling warm and cozy on my couch, enjoying my hot cup of coffee with my journal and pen. When summer rolls around again, I can pack up my towel, blanket, sunscreen, books and journal and lie in the beach, soaking up the sun as my body sinks into the sand below. I can dive into the waves, feeling washed anew, refreshed and alive. I can stop worrying about what is to come and just simply enjoy the moment I am in, feeling blessed by nature’s simple and peaceful, calming creations. 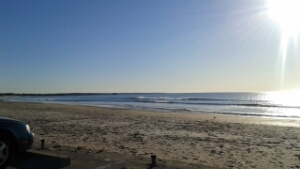 One of the things I love about where I live is the fact that the ocean is only minutes away. 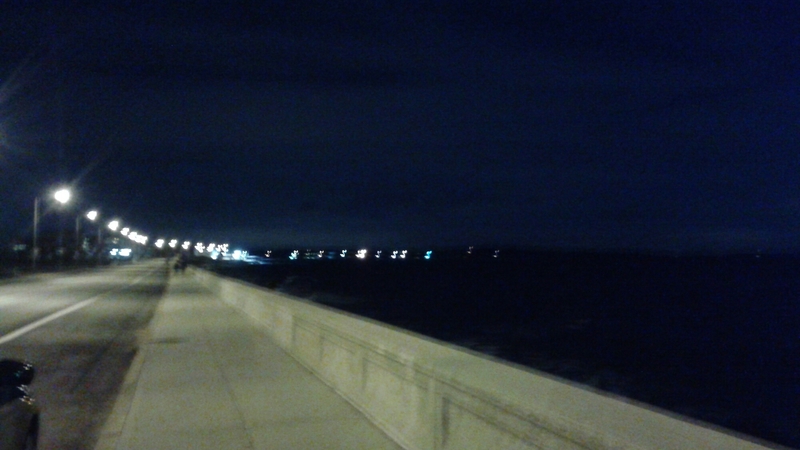 I have always lived here, near the ocean. There is something so peaceful about the sounds of the water. There is nothing quite like the air and breeze coming off the salt water. It is so refreshing, except on a night like tonight when it’s more like that I can’t feel my face kind of cold. 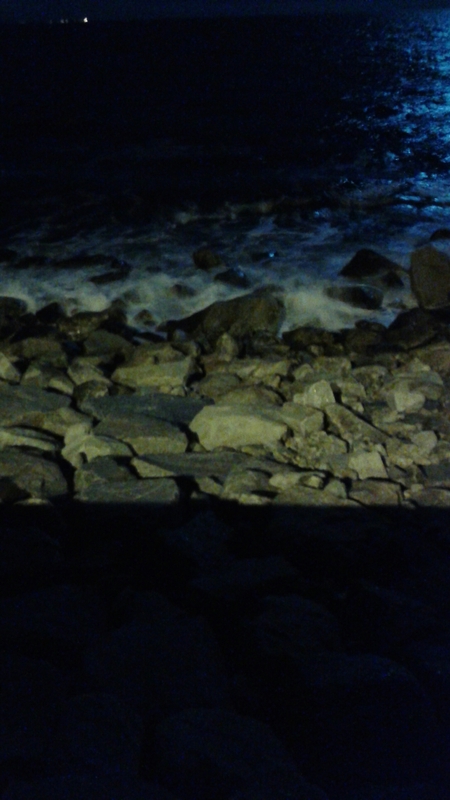 Some nights when I am feeling restless I will hop in the car and drive down to the sea wall where I can either take a walk, sit on the wall or just sit in my car and listen to the natural rhythm of the waves like music to my ears. But on a night like tonight, I especially love to go down to the beach and see the full moon, as it illuminates, glistening on the water. To me, there is nothing more beautiful than the way the moonlight dances upon the waves, lighting a path along the water. Like a stairway to the heavens. The sound of the waves crashing upon the rocks, like the beating of a drum or the clashing of symbols, nature’s perfect music. The full moon often makes me restless. I know not everyone believes it, but I definitely see the effects the full moon has on people, especially at work. Things always seem to be extra crazy and chaotic around the full moon. Didn’t you ever notice that the word lunar refers to the moon? Which may explain why lunatics and lunacy seem to be heightened around the full moon? Luckily the moon doesn’t stay full for long, although they say the side effects can last three days before and after the full moon. It peaked on the east coast around 1:20 pm today so it will be decreasing or waning for the next two weeks. 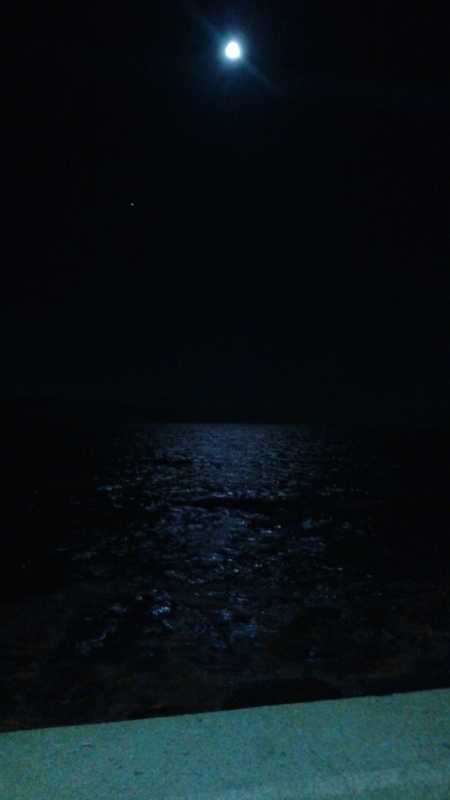 While sitting by the water watching the light of the full moon reflecting on the waves, I did some of my own reflecting. I thought about how the moon increases and decreases similar to our hearts when they fill with love. Some days our hearts fill to the brim with love for our significant others, our family and our friends. Other days they may feel void and empty and we struggle to show our love. This isn’t a bad thing, it’s just part of nature. Everything must move in cycles and change to create balance. In fact, even our love for ourselves can fluctuate. Today I felt so crabby I didn’t even want to be around myself, let alone anyone else. 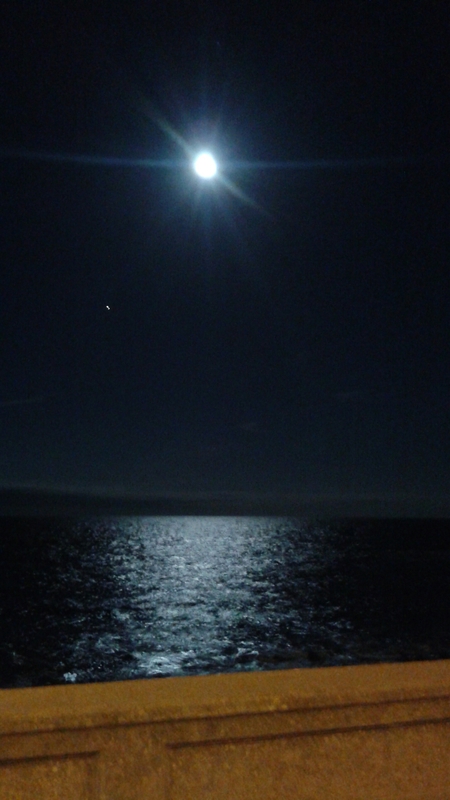 Taking some time to go down by the water and take in the sounds of the ocean and the sights of the moonlight were just what I needed. Some quiet time alone to reflect. I feel blessed to live near the ocean and I’m not sure what I would do if I didn’t. I’m sure there are many bloggers who do not live near the ocean, where do you go to relax?